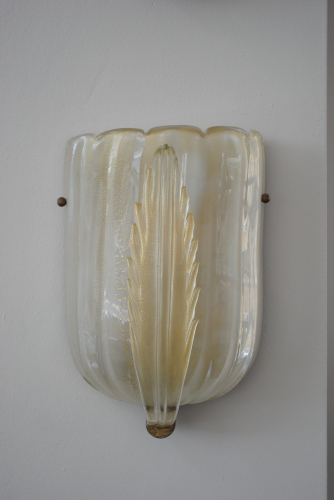 Pretty contemporary Murano wall sconces in the 1950`s style. Fashioned in crystal fused with gold and presented embellished with a stunning glass leaf at the front. In perfect working order and been tested by a qualified electrician.